of slopes and a decent number of ski lifts. This is a more inviting than average ski hill in possession of an average drop when you compare it to other ski mountains in the region. Bad Hofgastein is a magnificent place for the whole family with lots of easy ski trails. 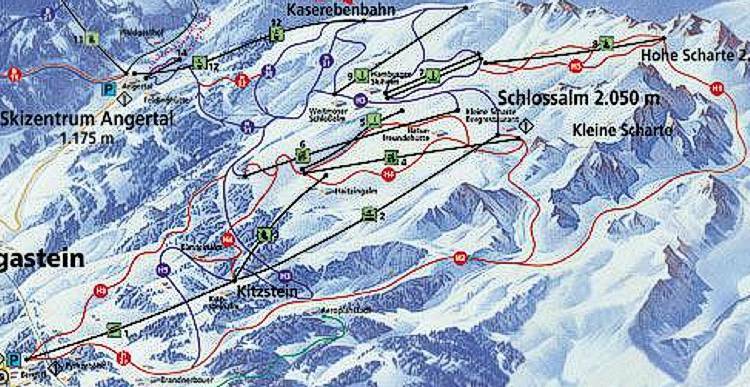 The ski map on this web page will give you a good idea what Bad Hofgastein is like. Nothing tops the Salzburg, Austria peaks in the wintertime; they are a perfect place for snowboarding or skiing.